High/Low is a weekly "linky party" in which we share our highs and lows of the week. Link up by clicking on the "add a link" button below to share as many highs or lows as you like! Make sure to grab the logo above and the arrows (if you would like) and link back to me. I'm thrilled to have found this at Walmart today for only $20! This is the least expensive price I have found and it is the "in store" price only. The laminator costs $10 more online through Walmart.com. I was resisting buying a laminator since I have one at school but I can't deny that it is soooo much easier to have one at home! It's like a one mile walk to the laminator at my school (o.k. maybe a half mile), you turn it on and come back to discover someone has shut it off. Grrrrr! Does that ever drive me bonkers! Here's to getting the job done! I love having the extra time to spend with this little big guy! School is not easy for him so I'm the "bad guy" during the school year trying to help him with homework and extra work he has to do to catch up. It's nice to enjoy the fun time too with my son, Tyler! I'm also enjoying spending my summer with this little guy. Bentley is our 2 year old beagle that we rescued. It's fair to say that Bentley is my shadow and literally follows me around everywhere (the bathroom is no exception). He whimpers when I'm in the shower and he howls and cries when I leave. It's going to rock his world when I go back to school in another month! And maybe mine just a bit too. and it won! Actually, I think I caught it from rubbing against the dog's fur. Nonetheless, this itches like CRAZY! I mean, seriously....I could be dying. 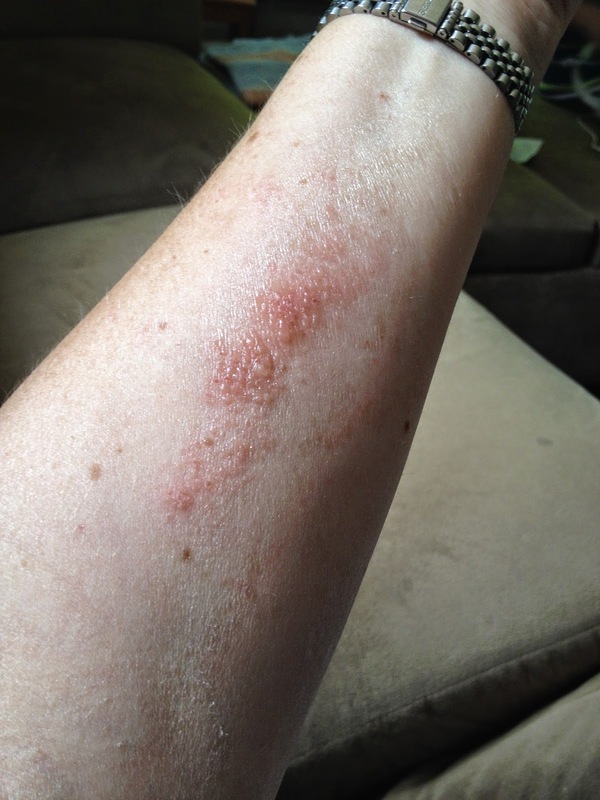 I have tried everything: Calamine lotion, Caladryl, Technu, bleach (yes....bleach). I even read that white vinegar and water help. Nothing stops the itch. I have now resorted to the fact that I just have complaining rights because this is just redic! I'd love to hear about your highs and lows this week! So link on up! Hi Julie. In Boston, they're "hiring" goats to get rid of the poison ivy. Any goats in your area for rent? 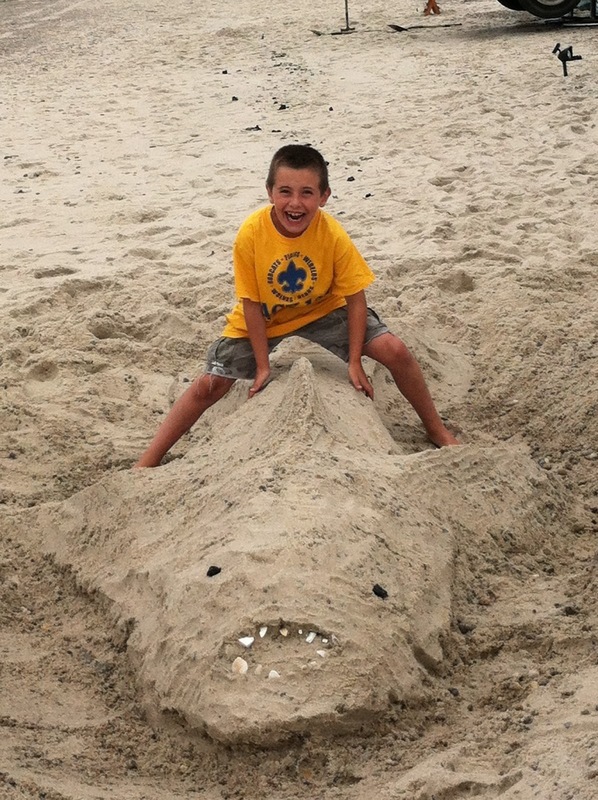 I love the shark in the sand! Handsome son and cute dog, too! Hi Susan! I think I will be looking into getting me some goat! Thank you for linking up, Kristy! I hope you join us again next week. You are truly brilliant! What a wonderful idea and SO MUCH FUN! I linked to your blog and I hope to visit you frequently. Are you going to make this available to post to every week? By the way, I have that same laminator! I LOVE IT! Thanks so much for linking up! Yes, this linky will be every week so I hope you come back because I love reading everyone's post. Thank you so much for the compliment. You are so sweet! Awesome! See you next week! I love this idea for a linky!! I had to laugh when I read about people shutting off the laminator. That happens to me too! Or I forgot I turned it on. I started putting a paper on the laminator "Please leave on". Your dog looks so sweet. I have two little ones that are my shadow too. Whenever I leave, I give them both cookies to distract them. They love it and expect it all the time. : ) Or maybe a ThunderShirt? I feel so bad for you about the itching. Itching is the WORST!!! I scratch with a hairbrush when I get desperate. Put some icepaks on. It'll numb the area. Temp. relief. Hope you feel better soon. Julie, I love seeing your week! It's nice to be able to catch up even if we don't talk on the phone. 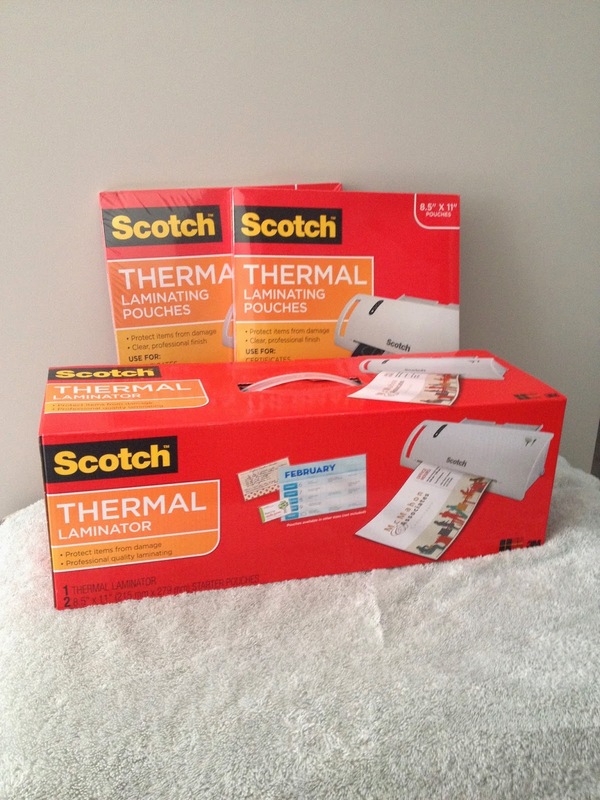 I LOVE my Scotch laminator too. It's definitely in use this week. Have fun these last few days of summer! 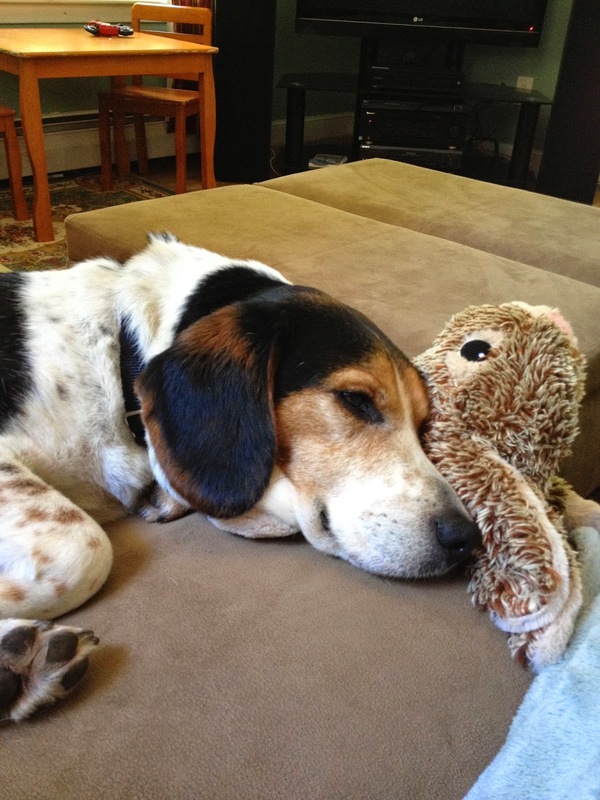 We had a beagle growing up. She had bad separation anxiety. We have a rescue dog as well now. Best dog ever. I want to adopt a few more dogs when we buy a house in a few years. OMG. 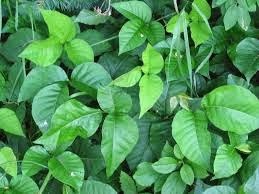 I even look at poison ivy and I have it. It's awful!! I live on a farm and usually get it from animals fur as well. I know I found this post late and you are probably over the poison ivy, but this is what helps me. I actually scrub it with a soapy wash cloth and then rinse it for a long time in the hottest water I can stand. It seems to dry it for a while and relieves the itch. When it starts to itch, I repeat the process. Good Luck!